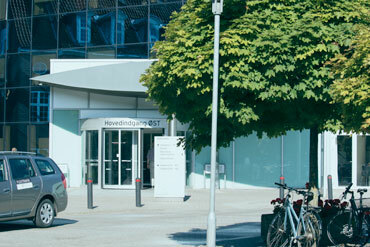 Odense University Hospital (OUH) is one of the four university hospitals in Denmark. Here all medical specialities are represented in one place. OUH is one of the largest education and training centres in the South Denmark Region, and we have close collaboration with the University of Southern Denmark – Campus Odense. Thousands of patients are treated at OUH every day. It is OUH’s ambition to ensure that every patient receives highly qualified treatment and that they feel well treated in terms of nursing and care. Research, development and education are inseparable aspects of OUH’s function as a university hospital. OUH is one of the Region’s largest education and training venues and is very closely connected to the University of Southern Denmark. OUH makes its mark on the future, in terms of the healthcare offered regionally, nationally and internationally, by educating new highly skilled employees and by creating research results that both streamline and improve the care pathways of the future. Odense University Hospital comprises of buildings from different periodes of the past more than hundred years. Hospitalphilosophy and health care history can be read from the buildings, that are stille all in use. The Region of Southern Denmark is soon starting to build a new hospital, the New OUH, that will provide opportunities to integrate new treatment options, intensified cross-disciplinary collaboration and multiple application of new technology into the way the hospital is organised. The buildings will be integrated with University of Southern Denmark.